Happy 2014! I hope the New Year is off to a great start for you. For my monthly post, I thought I would share some of my recent blog posts about math and reading. I hope you might be able to use some of these ideas! Here's a New Year reading passage with comprehension questions. 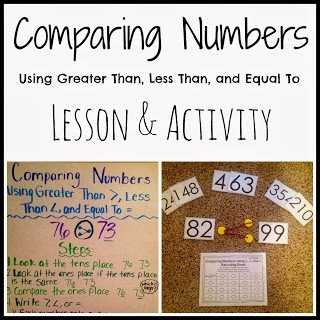 Do you teach how to compare numbers using less than, greater than, or equal to? If so, here is a lesson and activity you can do with your students. Do your students need some practice reading fluently and with expression? If so, here's a great activity you can do with them! Read about the lesson and download the resources for the activity here. 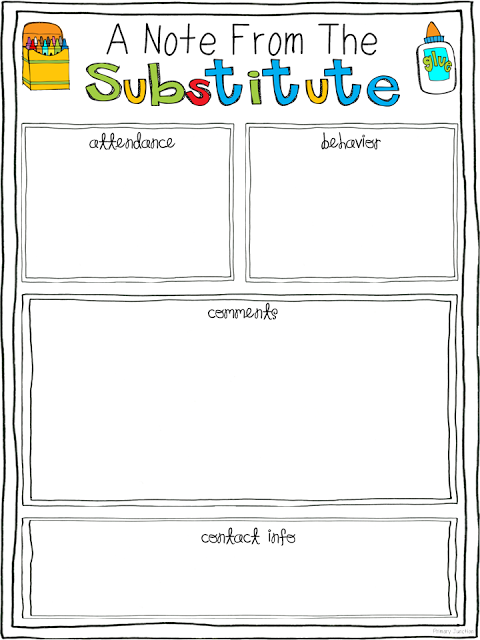 Finally, do you often wish you had a lot of feedback from your substitute? I've created a feedback form that should give you a good idea of what went on during your absence! 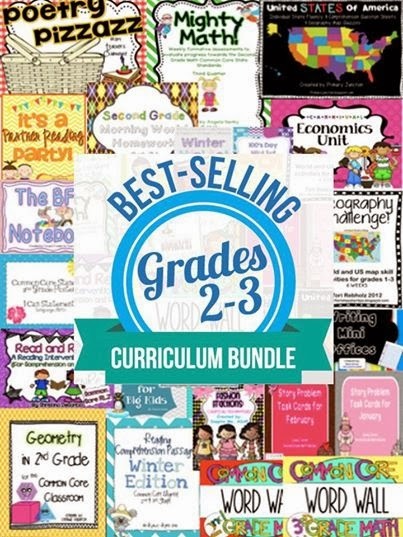 I also just want to quickly mention that I have partnered with a group of 2nd & 3rd grade teachers for an Educents Bundle. For $29.99 you can download this awesome set of 22 packets. Included is my United States Reading, Comprehension, and Geography Packet. You can check the bundle out here.